How we think we influence people, and how we actually influence them, is very different. We assume WHAT we say is most important. Not so. To have an impact, what’s said must align with HOW. 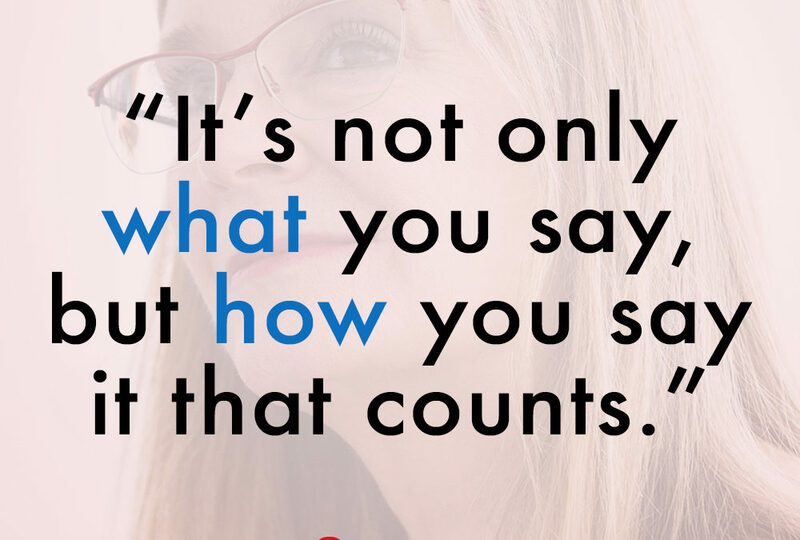 According to research, only 7% of what people absorb is due to what is said. 38% is voice tone. 55% is body language. That’s if each element is aligned. When one’s out of sync, your message is lost.